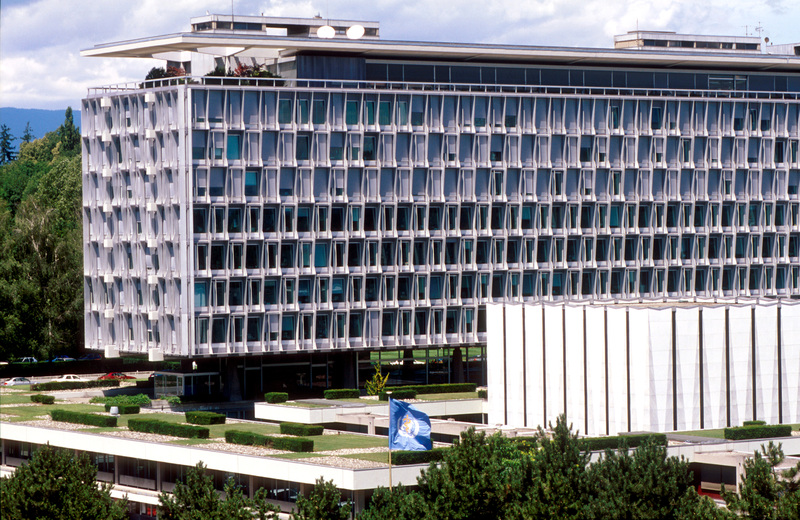 Funding, universal health, multisectoral work and access to medicines were among the issues addressed at the recent candidates’ forum of the World Health Organization in Geneva as part of the process to choose the next director general of the UN health agency. Candidates spoke on how to fund the organisation in its quest for universal health care and response to emergencies. The WHO candidates’ forum was held at the WHO on 1-2 November. WHO has worked without success on addressing alternative models of financing for research and development and more affordability/accessibility of medicines for poorer populations. Recently, however, the issue has become a mainstream concern with high prices in developed countries too. Candidates spoke about involvement with all of the WHO’s stakeholders in the funding process and some alluded to issues involving the pharmaceutical sector and intellectual property, while some were questioned on the issues. Two of the six candidates for the post of WHO director general have served as both ministers of health and foreign affairs in the country. Four of the candidates are from Europe (France, Hungary, Italy and the United Kingdom), one from Africa (Ethiopia) and one from Asia (Pakistan). Two of those seeking the post, one each from the global south and north, are women and five are medical doctors. Under a first-time process agreed last year, in January 2017, the WHO Executive Board will draw up a short list of five candidates and it will then interview these candidates and nominate three of them to go forward to the World Health Assembly in May 2017. At the 70th annual World Health Assembly, member states will vote in a new director general, who will take office on 1 July 2017. Dr. Tedros Adhanom Ghebreyesus is the only candidate who is not a medical doctor, but he has a Ph.D in community health. He is currently the Ethiopian minister of foreign affairs and was previously the country’s minister of health. Ghebreyesus believes his track record there is what would qualify him as the first WHO director general from Africa. Ghebreyesus was named one of Africa’s 100 most influential people in the New African Magazine in 2015 for transforming Ethiopia’s health system by deploying massive numbers of health workers in the fight against HIV and AIDS and malaria. Three planks of his campaign centre on the budget, emergency response and universal health care. He has been endorsed by the African Union, representing 54 African countries. National contributions now only account for 20 percent of the budget for running the WHO, whereas Ghebreyesus said that in the 1970s the national contributions amounted to 80 percent of the running budget. His passion in health came as boy aged nine when he caught malaria. 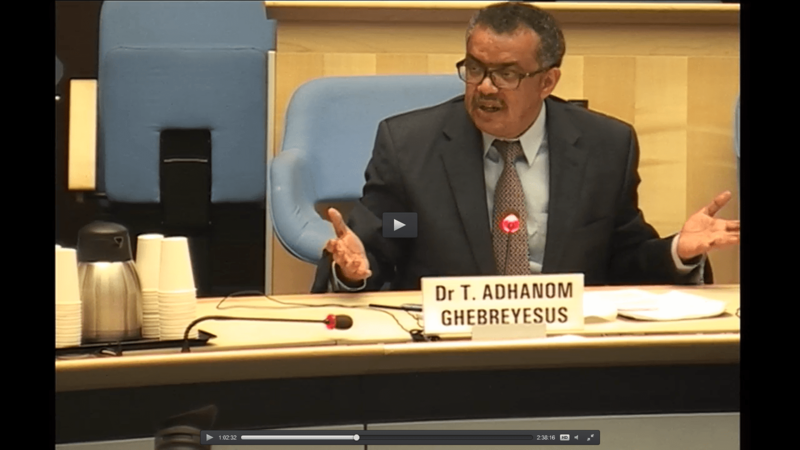 “From the developing world, we can bring fresh experience and a fresh view to the WHO,” said Ghebreyesus. On the day he spoke, a protest was being held outside the UN in Geneva against the Ethiopian government. “We don’t need to go into a packet of reforms…. The key is implementation,” said the Ethiopian foreign minister, adding that “country ownership” and “country capacity” are key to WHO. The organisation does not have a structural problem, but those who run it need to be empowered. Ghebreyesus replied that the five priorities for universal health care are important for developed as well as developing countries. Those principles in his manifesto include: providing national governments with the tools and guidance they need to build resilient and unique health systems; promoting domestic and innovative financing mechanisms; advance access to life-saving vaccines and drugs; driving progress toward the SDGs (sustainable development goals) by fostering partnerships to build on recent successes in areas such as polio, HIV, tuberculosis, malaria, and maternal, child and infant mortality; and address growing concerns, like non-communicable diseases. 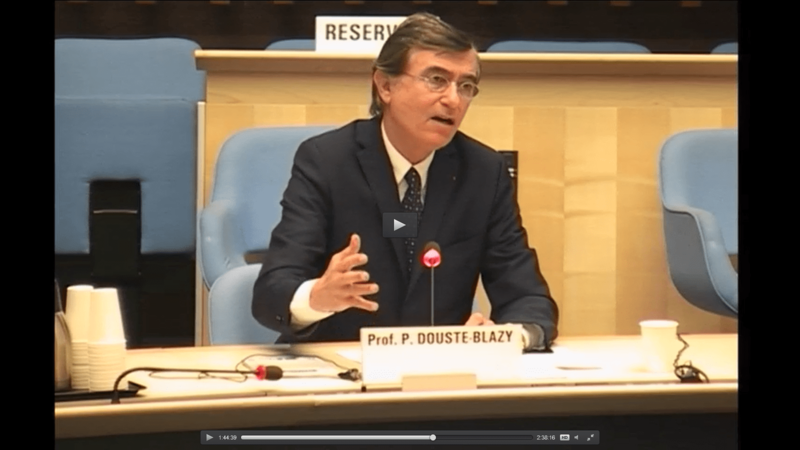 Dr. Philippe Douste-Blazy is under-secretary-general of the United Nations and special advisor to the Secretary-General on Innovative Financing. He was the former French minister of health and also minister of foreign affairs, like Ghebreyesus. Douste-Blazy founded UNITAID, the UN agency spun off from the WHO that helps reduce the cost of HIV/AIDS, TB and malaria treatments by raising funds in creative ways, such as getting airlines to donate to the cause by adding a small fee to airline tickets. “I propose to further involve nongovernmental organisations in its work and to structure this partnership,” said Douste-Blazy, in order to include partnerships with the private sector providing they avoid all conflicts of interest. He said a transparency database will be created for this purpose. “As a former mayor of Toulouse [France], I have managed an annual budget of $1.5 billion and 30,000 employees, comparable to the budget and exceeding the workforce of WHO. I will bring strong administrative and management experience to this role,” he said. The WHO needs a platform for finance that can play a key role in emergencies, he said, and suggested a special finance pool. He added that if WHO does not carry out reforms, donors will fund it less, he has been told. “How will we pay for chemotherapy treatment and individual treatments in the poorest countries?” he asked, saying that is why there is a need for innovations in both funding and spending. Dr. Miklós Szócska of Hungary is medical doctor who is a former minister of State and an academic administrator who positions himself as a WHO reformer. “My message to you is simple: WHO needs change. I am an agent for change,” he told member states, arguing that staying the same is not an option. High on his agenda are noncommunicable diseases (NCDs) but he also views WHO in the context of global challenges like climate change, water shortage, and unhealthy diet. “How can a former minister of State, an academic from a small country in the middle of Europe, a newcomer to WHO, answer all these challenges?” Szócska asked. His answer: “Let my country be small, but the public has problems we have to face, and the global forces behind those challenges were as big as anywhere. It is not the size of the locality that matters, it is the size of the problem.” He detailed Hungary’s successful track record against such challenges, such as his rapid implementation of a program against smoking and unhealthy diet. “You need … someone who can reinstate the image of WHO, bringing fresh new spirit to the organisation, and has a proven commitment to the core values and mission of the organisation,” he said. His program concentrates on four action areas: Communicable and noncommunicable disease, universal health coverage and pandemics, the development of human resources, and innovation and technology to improve accessibility and equity. On NCDs, in Hungary, “We were able to raise long-term health benefits above short-term economic political gains,” he said. Szócska was impacted early in his life by two grandparents dying of TB, and both of his parents became pulmonologists. “People need to stop smoking, eat less and better and exercise more, companies need to put less sugar and salt in food,” said Szócska. Hungary used taxes and other measures to significantly lower the problem. About 80 percent of WHO’s budget is from voluntary contributions, but it spends 2 percent on the biggest killers: NCDs, he said. “If do not have the resources for a comprehensive NCD fight, then will have to do it one-by-one, year-by-year, each and every disease modality,” said Szócska. He praised the UN Sustainable Development Goals as “very good news, giving a new set of rules and determinants.” But they must be implemented. Another priority is revenue generation, particularly for universal health coverage and pandemics. “We cannot manage risks without institutional and sustainable funding. It is time to start a long-term effort for resource generation,” said Szócska. “WHO needs a comprehensive dialogue with stakeholders, whether governments, international agencies, civil and nongovernmental actors, various financial and business communities, and business organisations. WHO should change the way we work and should mobilise the creativity of the global health policy network, he said. He got in mentions of antimicrobial resistance, vaccines, and access to high-priced medicines and technology. On human resources for health, he called for a well-trained health workforce and gave an example of a funding model in Hungary that raised salaries for nurses and stopped migration. “Raising funding for health is not a selfish act, it creates jobs, raises standards, creates economic value,” he said. On technology, he envisions development of new devices and also mobile access to health to all parts of the world. 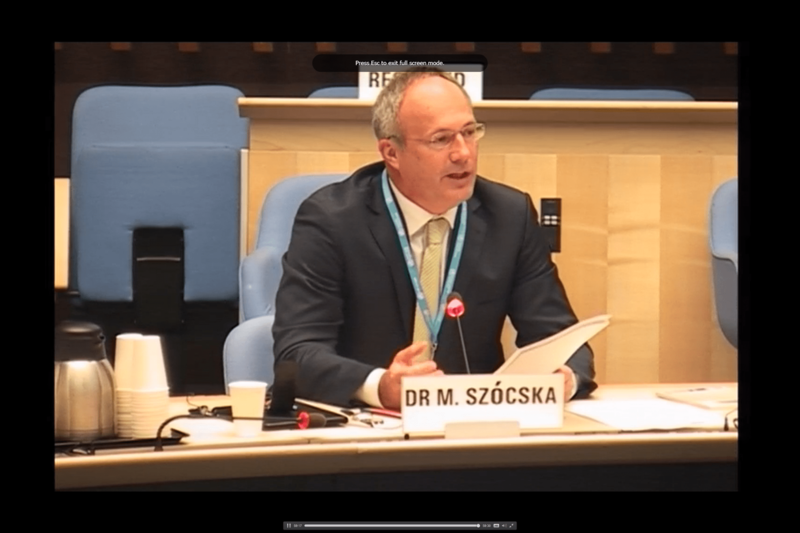 Szócska said he would institute a “performance management system” in the first months he is at WHO, plus change management capacities, rebuild trust and reduce blame by improving risk communication, and work in partnership based on consultation, dialogue and assertive collaboration. He had a plan for how to implement these aspects into WHO. 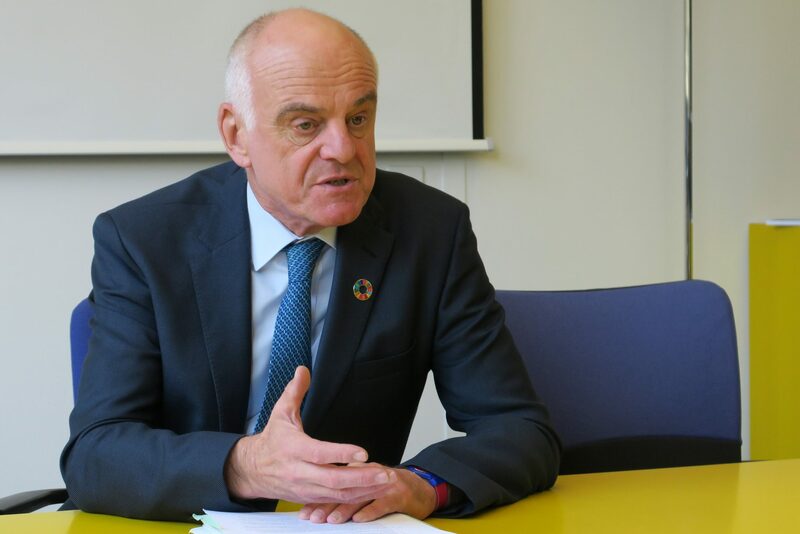 Dr. David Nabarro has spent 40 years working in global health, and currently works at the United Nations in New York. He is inextricably at the top of the existing system and is not pushing reform, but rather transformation. Nabarro started with setting up clinics in Nepal many years ago, then worked in countries around the world, and at the WHO on the Roll Back Malaria program, on setting up the Global Fund for AIDS, Tuberculosis and Malaria. He worked under Kofi Annan, then Ban Ki-moon, working on HIV/AIDS, then moved to working on food security and way the UN approached sustainable agriculture, food systems and nutrition. Dealt with nutrition “as a truly multistakeholder issue,” bringing together the agriculture community, health, sustainable development, gender, to treat nutrition as a multisectoral issue and stimulating action at country level, he said. More recently he moved to work on Ebola under Ban Ki-moon, asked to find a way to help the UN coordinate effectively, so he was made special envoy for Ebola. Then he took a lead role for the secretary general on SDGs. He cited four priorities: 1) Health for all through sustainable development, linking the SDGs; 2) preparing for and responding to threats to health; 3) ensuring that health action is owned by local communities and their nations; 4) consistent support for health caregivers and to effective health systems. Nabarro called the SDGs “the most powerful tool for public health that we have in the world today.” It’s an agreement among 193 nations that’s a plan for the future of the world’s people and the planet, he said. On threats to health, he has worked on pandemics and chaired the working group that led to the new emergency response program at WHO. He said he wants to see that program come to life, not just as a WHO phenomenon but with others, so it becomes the “beating heart” of health work in emergencies and on outbreaks. If WHO becomes a confidence-inspiring, effective organisation, “then we won’t have to worry about budgets anymore,” he said, as has been seen in other areas of the UN. Nabarro was asked by a sub-Saharan African nation about actions for access to essential medicines, working with the World Trade Organization and World Intellectual Property Organization, to which Nabarro gave one of his longest answers. Dr. Sania Nishtar, of Pakistan, is a trained cardiologist based in Islamabad who serves as the co-chair of WHO’s commission on ending childhood obesity. She is also the founder and president of Heartfile, a group that focusses on public health in Pakistan. She showed in her submission her commitment as the most development-focused candidate of the six. When Nishtar joined the Pakistan caretaker government as federal minister in 2013, there was no Ministry of Health, she said. She helped re-establish that ministry. In her manifesto, Nishtar states that she is a bridge between the Muslim world and the West and has the confidence of both developed and developing countries. She believes her perspective as a Pakistani and a woman will help bring diversity to WHO. She would like to see the WHO reformed into an effective, well-managed, transparent, accountable and cohesive organisation, which achieves value for money, and where robust evidence guides decision-making. Nishtar said she is committed to making financing details of her campaign public. She said she had stepped down as chair of the Independent Accountability Panel (IAP) for Global Strategy for Women and Children’s Health to show that she has no conflict of interest. Nishtar was asked a specific question on WHO’s relationship with other bodies and about intellectual property. The delegate from Colombia said during the question period, “Despite the great strides achieved in the prevention, diagnostics and treatment of diseases, developing countries are still excluded from many of the benefits of modern science. What concrete proposals do you have to address this issue and public health, innovation, intellectual property and trade involving WHO, WTO and WIPO?” WIPO is the World Intellectual Property Organization. 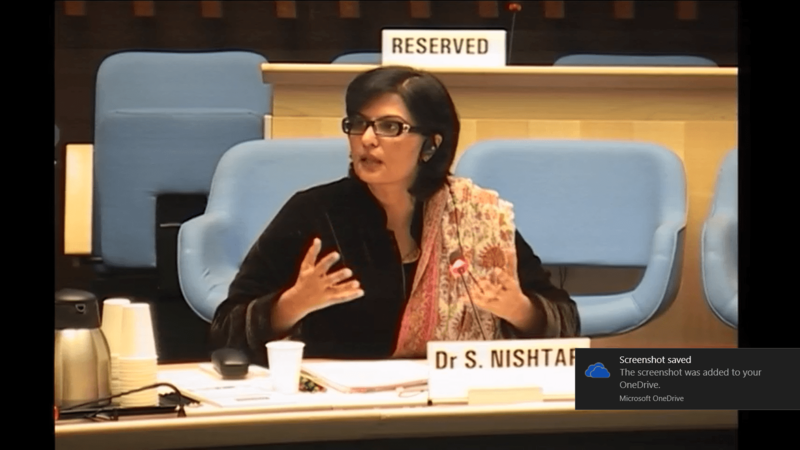 In response, Nishtar spoke of how she envisages accruing “the benefits of scientific development to the developing world” and how to refer to the medicine side of the equation, but indicated that there is in effect no one-size-fits-all answer. Dr. Flavia Bustreo from Italy is the only internal WHO candidate for the DG post. She is one of two female and four European candidates. A doctor and epidemiologist she is currently the assistant director-general for family, women’s and children’s health at WHO. Before that, she ran the agency’s maternal, newborn and child health program. Like other candidates, Bustreo said WHO needs to rebuild confidence and trust, and she welcomed the new process to select the DG allowing public access. “I will undertake to restore stable funding,” she said. “There is an urgent need to attract the best talent … At this moment there is a deficit of enthusiasm,” said Bustreo talking of the need for partnerships. Bustreo has widespread global experience in WHO working in many countries that range from Argentina, to Zambia, including scores of nations. She also has experience outside WHO having been seconded by WHO as a senior public health specialist to the World Bank in Washington, DC, from 1999 – 2004 and from August 2005 to June 2006. 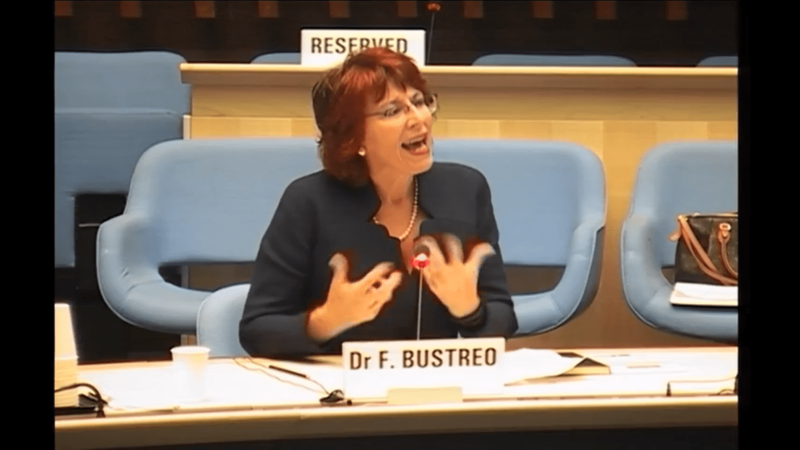 “I worked for six years in Washington,” Bustreo explained, saying she managed the WHO-World Bank partnership concerning child health with her focus on achieving increased financing for maternal and child health. Bustreo was asked by a Russian delegate how the global health agenda can be promoted. “I believe is important to work for WHO with partners … and with other members of the UN family,” she said when looking at global health security. She noted that WHO was caught “off guard” dealing with Ebola, but by working with partners it was within a year able to develop a vaccine. She said it is vital to work with other UN agencies when looking for the capacity to deal with threats and surveillance citing cooperation with the the UN International Telecommunication Union (ITU) in communicating data. "Six Candidates For WHO Director General Lay Out Their Views" by Intellectual Property Watch is licensed under a Creative Commons Attribution-NonCommercial-ShareAlike 4.0 International License.